Match ends, FC Groningen 0, Vitesse 3. Second Half ends, FC Groningen 0, Vitesse 3. Attempt missed. Juninho Bacuna (FC Groningen) header from the right side of the six yard box is just a bit too high. Assisted by Jesper Drost following a corner. Corner, FC Groningen. Conceded by Guram Kashia. Offside, Vitesse. Denys Oliynyk tries a through ball, but Valeri Qazaishvili is caught offside. Valeri Qazaishvili (Vitesse) wins a free kick in the defensive half. Foul by Etiënne Reijnen (FC Groningen). Corner, FC Groningen. Conceded by Sheran Yeini. Goal! FC Groningen 0, Vitesse 3. Dominic Solanke (Vitesse) right footed shot from outside the box to the bottom right corner. Assisted by Guram Kashia with a through ball. Danny Hoesen (FC Groningen) wins a free kick in the attacking half. Substitution, Vitesse. Nathan replaces Milot Rashica. Corner, Vitesse. Conceded by Sergio Padt. Attempt saved. Denys Oliynyk (Vitesse) right footed shot from the centre of the box is saved in the top left corner. Assisted by Dominic Solanke. Goal! FC Groningen 0, Vitesse 2. Valeri Qazaishvili (Vitesse) right footed shot from the centre of the box to the top right corner. Assisted by Milot Rashica. Attempt saved. Juninho Bacuna (FC Groningen) right footed shot from outside the box is saved in the bottom right corner. Substitution, FC Groningen. Danny Hoesen replaces Hedwiges Maduro. Kosuke Ota (Vitesse) wins a free kick in the defensive half. Foul by Michael de Leeuw (FC Groningen). Goal! FC Groningen 0, Vitesse 1. Dominic Solanke (Vitesse) right footed shot from the centre of the box to the centre of the goal. Kosuke Ota (Vitesse) is shown the yellow card for a bad foul. Foul by Kosuke Ota (Vitesse). Jesper Drost (FC Groningen) wins a free kick on the right wing. Juninho Bacuna (FC Groningen) wins a free kick in the attacking half. Substitution, Vitesse. Valeri Qazaishvili replaces Lewis Baker. Michael de Leeuw (FC Groningen) wins a free kick in the attacking half. Kevin Diks (Vitesse) wins a free kick in the defensive half. Foul by Oussama Idrissi (FC Groningen). Attempt missed. Denys Oliynyk (Vitesse) right footed shot from outside the box is close, but misses to the right. Assisted by Sheran Yeini. Foul by Sheran Yeini (Vitesse). Simon Tibbling (FC Groningen) wins a free kick in the defensive half. Attempt saved. 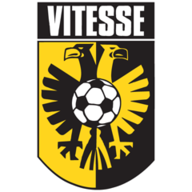 Milot Rashica (Vitesse) right footed shot from outside the box is saved in the bottom left corner. Assisted by Kosuke Ota. Corner, Vitesse. Conceded by Rasmus Lindgren. Attempt blocked. Dominic Solanke (Vitesse) header from the centre of the box is blocked. Assisted by Kosuke Ota with a cross. Substitution, Vitesse. Dominic Solanke replaces Isaiah Brown. Oussama Idrissi (FC Groningen) wins a free kick on the left wing. Substitution, FC Groningen. Oussama Idrissi replaces Lorenzo Burnet. Substitution, FC Groningen. Abel Tamata replaces Albert Rusnák. Offside, Vitesse. Lewis Baker tries a through ball, but Isaiah Brown is caught offside. Offside, Vitesse. Kosuke Ota tries a through ball, but Isaiah Brown is caught offside. Offside, Vitesse. Maikel van der Werff tries a through ball, but Isaiah Brown is caught offside. Attempt blocked. Lewis Baker (Vitesse) left footed shot from outside the box is blocked. Assisted by Kevin Diks. Kosuke Ota (Vitesse) wins a free kick on the left wing. Foul by Simon Tibbling (FC Groningen). Maikel van der Werff (Vitesse) is shown the yellow card for a bad foul. Michael de Leeuw (FC Groningen) wins a free kick on the right wing. Offside, FC Groningen. Rasmus Lindgren tries a through ball, but Michael de Leeuw is caught offside. 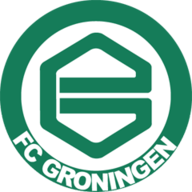 Second Half begins FC Groningen 0, Vitesse 0. First Half ends, FC Groningen 0, Vitesse 0. Attempt blocked. Hedwiges Maduro (FC Groningen) header from the centre of the box is blocked. Assisted by Albert Rusnák with a cross. Denys Oliynyk (Vitesse) is shown the yellow card. Kevin Diks (Vitesse) wins a free kick in the attacking half. Foul by Jesper Drost (FC Groningen). Attempt saved. Lewis Baker (Vitesse) left footed shot from the centre of the box is saved in the centre of the goal. Hedwiges Maduro (FC Groningen) wins a free kick in the defensive half. Attempt missed. Lorenzo Burnet (FC Groningen) left footed shot from the left side of the box misses to the right. Assisted by Jesper Drost. Jesper Drost (FC Groningen) wins a free kick in the attacking half. Attempt blocked. Isaiah Brown (Vitesse) right footed shot from the centre of the box is blocked. Attempt blocked. Maikel van der Werff (Vitesse) right footed shot from the centre of the box is blocked. Assisted by Lewis Baker. Corner, Vitesse. Conceded by Lorenzo Burnet. Sheran Yeini (Vitesse) wins a free kick on the left wing. Foul by Albert Rusnák (FC Groningen). Attempt missed. Lewis Baker (Vitesse) right footed shot from outside the box is close, but misses the top left corner from a direct free kick. Simon Tibbling (FC Groningen) is shown the yellow card for a bad foul. Marvelous Nakamba (Vitesse) wins a free kick in the attacking half. Attempt saved. Michael de Leeuw (FC Groningen) header from the centre of the box is saved in the centre of the goal. Assisted by Albert Rusnák with a cross. Corner, FC Groningen. Conceded by Denys Oliynyk. Attempt blocked. Michael de Leeuw (FC Groningen) right footed shot from a difficult angle on the right is blocked. Assisted by Hedwiges Maduro. Attempt missed. Lorenzo Burnet (FC Groningen) left footed shot from the left side of the six yard box misses to the right. Attempt saved. Simon Tibbling (FC Groningen) right footed shot from outside the box is saved in the bottom left corner. Assisted by Jesper Drost. Attempt blocked. Lorenzo Burnet (FC Groningen) right footed shot from the centre of the box is blocked. Offside, Vitesse. Maikel van der Werff tries a through ball, but Denys Oliynyk is caught offside. Foul by Hedwiges Maduro (FC Groningen). Sheran Yeini (Vitesse) wins a free kick in the defensive half. Foul by Rasmus Lindgren (FC Groningen). Marvelous Nakamba (Vitesse) wins a free kick in the defensive half. Simon Tibbling (FC Groningen) wins a free kick in the attacking half. Offside, Vitesse. Milot Rashica tries a through ball, but Denys Oliynyk is caught offside. Offside, FC Groningen. Etiënne Reijnen tries a through ball, but Michael de Leeuw is caught offside. Offside, FC Groningen. Hedwiges Maduro tries a through ball, but Jesper Drost is caught offside. Hand ball by Maikel van der Werff (Vitesse). Attempt missed. Milot Rashica (Vitesse) right footed shot from outside the box is close, but misses to the left. Guram Kashia (Vitesse) wins a free kick in the defensive half. Albert Rusnák (FC Groningen) wins a free kick in the attacking half. Hans Hateboer (FC Groningen) wins a free kick on the right wing.